Product Consists : Love Arrow Heart Wooden key chain in a Box. Heart and arrow key chain with the write up of I Love You set or choose to silver chains. Special gifts for your loved once. 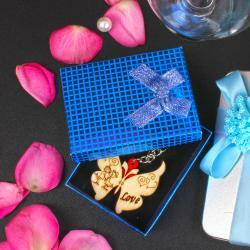 Key Chain is one of the best gift for your loved once. Couples key chain, arrow, heart, This unique key chain is made of a high quality. The heart is separate from the arrow. 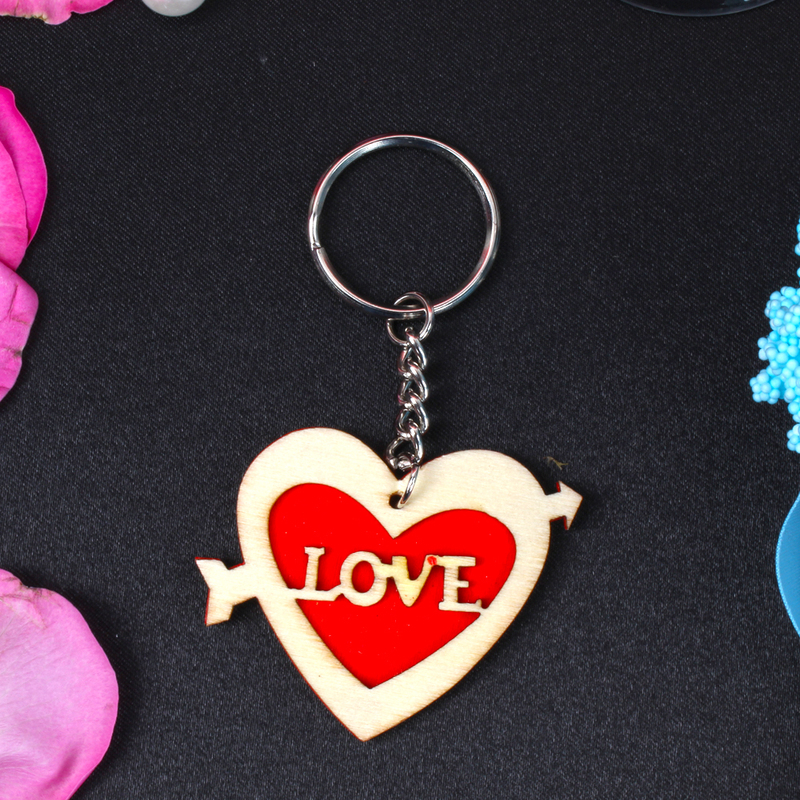 Express your love with this fabulous gift of heart shapes to personalize key chain for him/her. 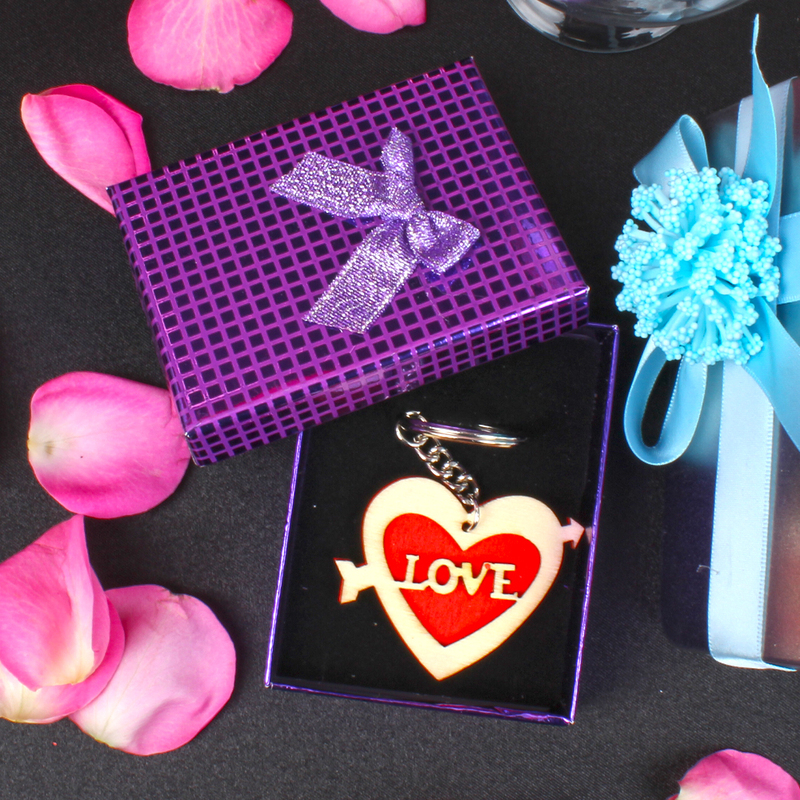 This key chain can be used to propose to love one while gifting this lovely gift. Product Consists : Love Arrow Heart Wooden key chain in a Box.